Flaunt your love McDonald's, Momofuku, and more on your feet. You’ve heard the saying you are what you eat, but what about "you wear what you eat?" Several restaurants have taken that sentiment to heart in an unexpected way: By launching shoes inspired by their beloved cuisine. Lately we’ve been seeing fast food brands like McDonald’s and KFC launch fashion lines to match their fried chicken and burgers, but these food-themed sneakers let you wear your incorrigible appetite on your feet, like a flashy badge of honor. 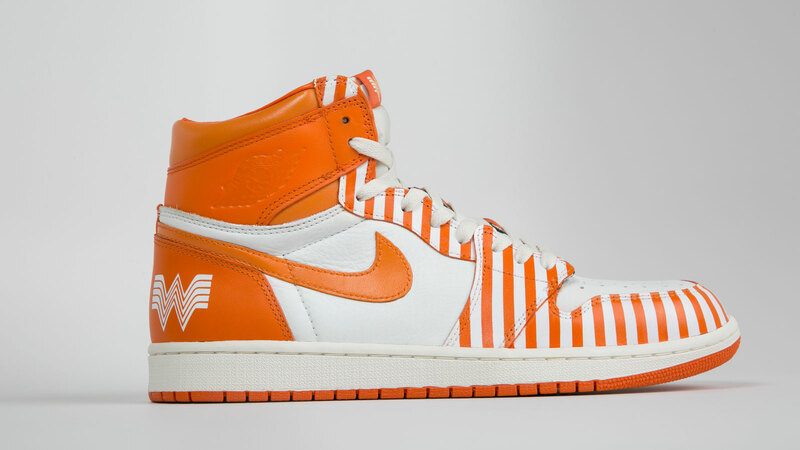 As a part of their #WhataThoseContest, Whataburger is giving away pairs of $2,000 custom orange and white striped Nike Air Jordans, a pair of $1,500 slip-on sneakers that read “Ketchup” on the front, and a $1,300 pair of Adidas adorned with multi-colored polka dots naming different condiments, all designed by Jeff Danklefs. The chain wants Whataburger devotees to snap a picture of their favorite customized meal and share it social media for a chance to snag these sneaks. These designs came out in 2015, and feature classic Vans styles stamped with the blue White Castle logo. 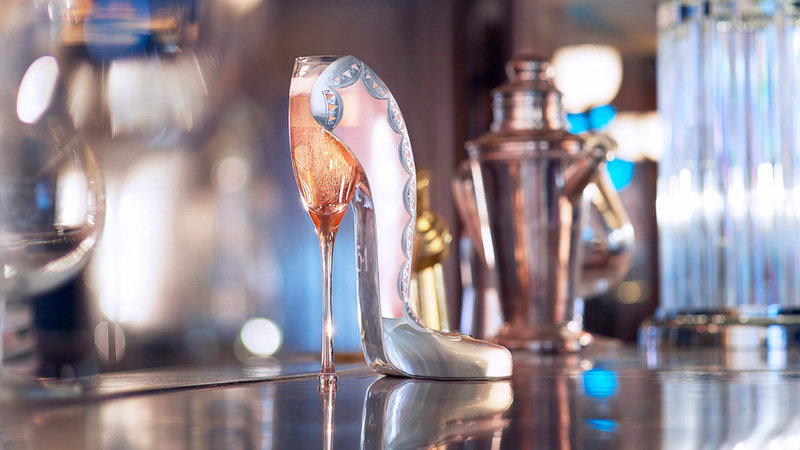 Perrier-Jouet teamed up with the London steakhouse 34 Mayfair to create this opulent crystal and sliver-plated slipper that you drink champagne out of. 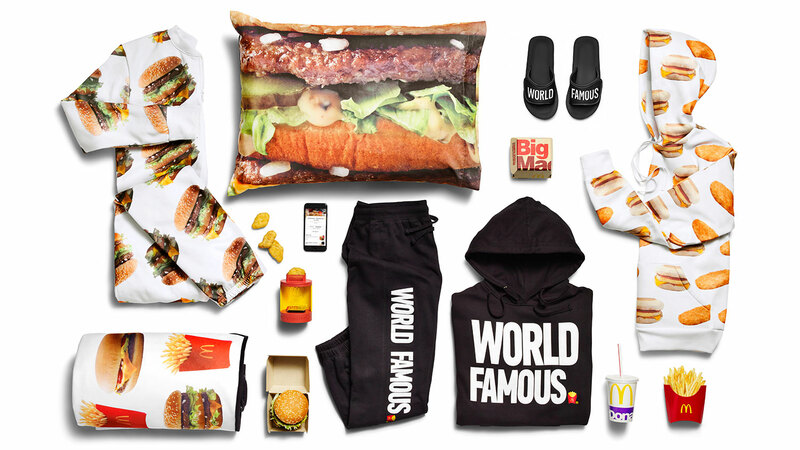 McDonald’s launched a new fashion line called McDelivery that includes a pair of sandals, to celebrate their partnership with UberEATS, which was only available if you order the chain’s food through the app. The hip L.A. eatery E.P. & L.P. partnered with Australian sneaker brand Volley, to create a pair of minimalist white and green super-stylish sneakers. The collaboration launched in January of this year. David Chang designed a pair of Nike SB Dunk High Pro sneakers this summer. 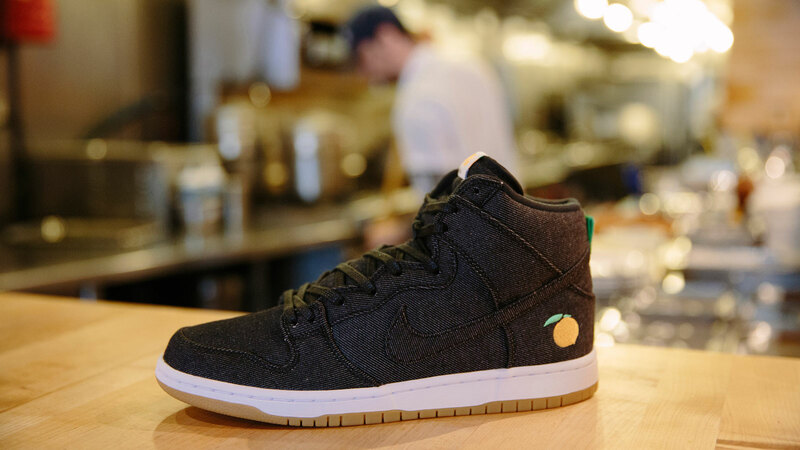 The shoes come in a dark denim material, modeled after the aprons worn by the chefs that work in Chang’s restaurants, with the Momofuku lucky peach symbol embroidered in the corner. 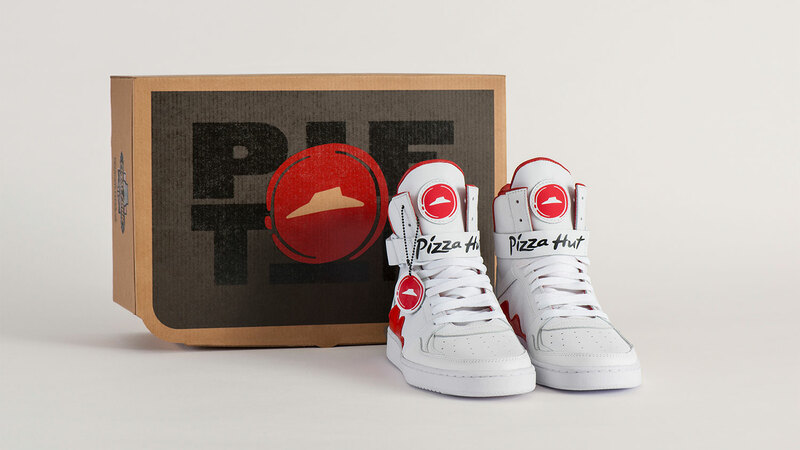 These limited edition Pizza Hut sneakers have a button in the tongue that lets you order pizza wherever you are. And you thought your insoles provided comfort!